The Iowa healthcare system is using lean principles to improve quality and cost of healthcare. I was traveling this week and had a chance to get caught up on some podcast listening. During the America’s Business program from last week, Mike Hambrick introduce Vince Newendorp of Vermeer Manufacturing in Pella, IA. Way to go Vince! Vince is the current Vice President of Human Resources and also the dad of a high school senior that I mentor. 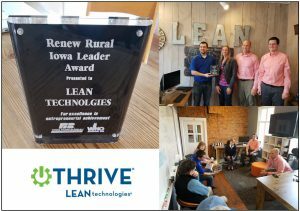 Vince used to chair the Iowa Committee on Lean and Healthcare (Iowa Healthcare Collaborative). As healthcare costs continue to rise, their goal is to find ways to improve healthcare costs. Have been listening to a manufacturing podcast that I’ve found interesting and informative. It’s produced by the National Association of Manufacturers and it’s called “America’s Business with Mike Hambrick”. You can find it here.